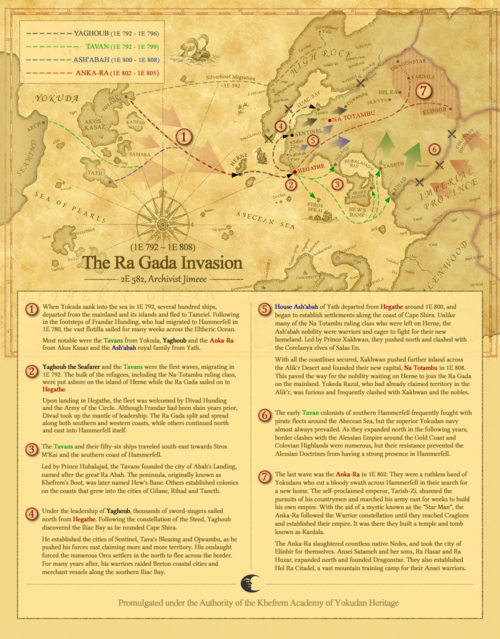 A map I created to illustrate my interpretation of the Ra Gada invasion. Based on the old official western map of Tamriel. "Whatever, wiki-man. Your site always plays catch up. It always has." This user is an actual lorebeard. This user wastes too much gold in ESO. This user played too much Skyrim. This user remembers vague details about Oblivion. This user regrets missing out on Morrowind. This user wants Finedrin released. Its been 4 years for goodness sake! This user deeply regrets incriminating Brand-Shei and wants him released. This user has made a grand total of 9,321 edits in 2445 days. This user is an Autopatrolled User. 37 This UESPWikian is 37 years, 2 months, and 2 days old. This user is an Archivist. This user writes dank Apocrypha. This user is from Scotland. This user is an Xbox Casu-El. Regrettably. This user has wasted millions in gold to become a Grand Master Crafter. Aligned with the Stormcloaks, Dawnguard and Greybeards. Remained a werewolf. Married Mjoll (for the achievement) then reloaded my save. My second playthough I decided to go heavy with the stealth route. Picked a Dunmer, mainly because I loved their distinct look, focused on dual wielding daggers. I named him after a famed Arch-mage and a random Great Dunmer House, because I had no idea was I was doing. After some time, I discovered how powerful the Enchanting skill tree was and made some zero-cost Destruction gear to play around with all the spells. Lived in Vlindrel Hall. Aligned with the Empire, Volkihar and Greybeards. 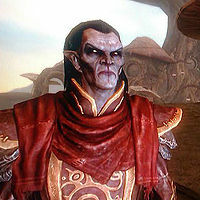 Became a Vampire Lord and proud member of House Telvanni. At only 60 hours, this playthough is still largely unfinished. Third playthough sounds exactly like the first, but this was my attempt at making a blank slate "template" character, leveled to 81 (the max level at the time) but with no perks spent. As a filthy console peasant, I don't have access to console commands, but I wanted to be able to load up this character for a new playthrough and customize it to my choosing - without having to go through the trouble of leveling to 81. To do this I used the Oghma Infinium bookshelf exploit to quickly level all my skills to 100 and reach level 81. The end result was a save file with the default Nord character sitting at level 15 (the level you need to be to finish Discerning the Transmundane), but with a ton of unspent attribute points and perks and no significant quests completed. My whole plan was pointless in the end as I never went back to ol' Wulfharth to make a new character and the nail in the coffin was the addition of Legendary Skills and the Black Book respec option, but it fun none the less. My fourth playthrough I wanted to focus exclusively on archery and stealth that I felt I abandoned with my Dunmer. 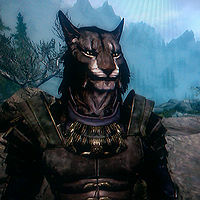 Picked a Khajiit as it seemed to fit the playstyle. A relatively generic playthrough. Rajhin incarnate, I was heavy into the Thieves Guild and Dark Brotherhood. Played as stealthy as possible and as chronic kleptomaniac. After archery stopped being effective at high levels, I switched to dual wield. 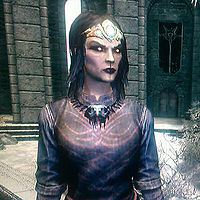 The second (and last) character that retrieved the Crown of Barenziah (because Khajiit likes finding shiny gems). Occasionally had Jenassa as a follower, and discovered that she is absolutely lethal as she can dual wield. Lived in Hjerim (because the quest didn't glitch this time). Aligned with the Dawnguard, Greybeards and Empire (because I wanted Ulfric's sweet robes). My fifth playthrough I wanted to try sometime a little different - A pure mage on master difficulty. "Pure mage" I meant that I was not allowed to wear armor, and could only use spells. Made my way to the College as soon as I could and focused heavily on Destruction, Conjuration and Enchanting. I banned myself from enchanting zero-cost magic gear as I felt it would take something away from the game - but if I found similar loot, it was fair game. Lower levels was really difficult and archers were the bane of my life, but Destruction Dual Casting and a summoned Daedra helped a lot. 1 hit deaths were common. I decided to become a Vampire Lord to take advantage of the Necromage perk to make my spells stronger. After some time, the tables began to turn. Conjuration is a great school and eventually I had two Dremora Lord bodyguards everywhere I went. I attained 100% spell absorption (making me completely immune to magic and dragon breath) and the rest of the game was a cakewalk. I took up necromancy and Dead Thrall'd various interesting NPCs (like Vrythur) to be my followers. My favorite moment was using the Ritual Stone power (stored in the Aetherial Crown) to raise about 20 Deathlords in Skuldafn. I then led them to Nahkriin and just watched as they tore him apart. After a while, I felt like I had done all there was to do, so the Demon of Knowledge tempted me to use the Oghma Infinium bookshelf exploit again to reach the max level and use up the remaining perk points. Lived in the College the whole time, which was different. Aligned with the Empire, Volkihar and Greybeards. By my sixth playthrough I was a bit tired of all the sneaking about and ranged magic. I wanted to be play as a no-nonsense, in-your-face, melee powerhouse, and Wrex the Orc Berzerker was perfect for this. A vague backstory of growing up in an Orc stronghold and later joining the Legion and I was ready to go. Two-handed weapons were mandatory and not a single point was spent on Magicka. I was granted Volendrung from the Daedric patron of my people, and tried to use it exclusively. Combined with the Berserker Rage greater power, the Murder TrainTM was completely unstoppable. Every dungeon was cleared by running in full speed and swinging the warhammer until everything was dead. Didn't bother with the Thieves Guild or Dark Brotherhood quests, because sneaking is for the lesser races. One thing I really wanted to do for a long time was collect every "loreworthy" book in the game, so it fell upon Wrex undertake this quest. It became his side-hobby, away from all the yelling and skull cracking. It took ages and many trips to my old buddy and mentor Urag to find the rare "List 4" books, but I eventually managed to collect every book possible in the base game and the add-ons (even the Holdings of Jarl Gjalund which only appears under certain circumstances.). Probably one of my proudest achievements in Skyrim. Next step was to store them in a nice library - imagine my horror when I discovered the library addition of a homestead could only hold a maximum of 308 books, and I had over 350. I settled for stuffing the remaining ones in a sack near the bookshelf and left it at that. Eventually, Volendrung wasn't cutting it at higher levels so - following the traditions of my forefathers - I became a master blacksmith and began to forge and enchant Dragonbone weapons (such as Trinimac's Battleaxe and Ysgramor's Cudgel). I was surprised as just how effective Two-Handed was in cutting down foes. Low level dragons would die in just one swing on Master difficulty if Berserker Rage was active. Another plus was that this sort of build didn't need a wide variety of skills and perks. I was running out of things to spend my perk on - by about level 35 I had all the perks I needed. I wanted to see far I could push it. While I was well aware of the Alchemy/Smithing/Enchanting exploit, I didn't want to use it on this playthrough. I wanted to see just how powerful I could make Wrex on strictly in-game items alone. This meant only using the Enchanter's Elixir (to enchant a Fortify Smithing suit) and Blacksmith's Elixir (to do the actual item tempering). Suffice to say, the damage numbers were ridiculous. Include Berserker Rage doubling the damage output and the Elixir of the Berserker adding another 50% - the damage went into the thousands. It was a bit anticlimactic when Alduin fell in 2 swings of Trinimac's blessed battleaxe, but it was awesome at the same time. I highly recommend this play style. 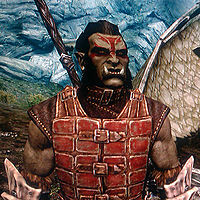 Lived in Heljarchen Hall with Ghorbash the Iron Hand as a steward (because us Orcs gotta stick together). Aligned with the Empire, Dawnguard and Greybeards. Permadeath - If I die once, I delete the save. 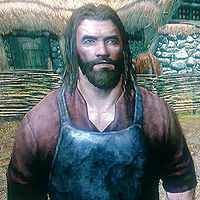 I left Helgen and took up residence in Hod and Gerdur's House because it was better than being homeless. Riverwood would be my home for the foreseeable future. I needed an endgame to this playthough - something to work towards. I decided on the end goal of building and furnishing a complete 3 wing homestead with only earned money (non-quest related). To earn money, I needed a trade like all good NPCs. Alchemy seemed the most viable in the lush forests of Falkreath Hold, so I decided upon that. And so began the legend of the humble alchemist, Haknir Snow-Strider—descendant of the famed Skorm Snow-Strider. By day, I would scour the woods and hills of Falkreath picking mountain flowers and lavender, chasing butterflies and perhaps some fishing. One thing about a permadeath run is its stressful. Encountering a mere wolf was a huge cause for concern, and typically running away was better than risking conflict. In the evening I would return to the Sleeping Giant Inn and practice alchemy, while some Delphine lady looked on in concern. The potions I brewed I would sell to ol' Lucan for a pittance. At night I would return home, dump all my things in a chest, eat a meal and sleep for 8 hours - then repeat the process the next day. This may sound utterly boring, but there was something so different about it, that I was hooked. I certainly wasn't going anywhere near the main quest - random dragon attacks was the last thing I needed. During my alchemy training, I discovered that Damage Magicka Regen potions were fairly valuable and could be made with common ingredients, so brewing these became a priority. After a few days, Falkreath got a little boring so I took the big step of venturing out towards the plains of Whiterun. Finding new ingredients was exciting but venturing out further and further from home made it a long walk back when night fell. I had to plan my outings with nightfall in mind. A close shave with a Sabre Cat nearly ended it all, but I pressed on and continued to level up and improve my alchemy. I thought I knew the Skyrim map like the back of my hand, but it was surprising how much I actually relied on it and the HUD compass in previous playthroughs. I realized this when I took a trip out to the Reach and was utterly lost several times when trying to get back to Riverwood. I was sticking to the roads and reading roadsigns or running to the top of a hill to see if I could make out where I was - it was truly surreal. Eventually I managed find my way home, with a backpack full of Juniper Berries and several angry Reachmen on tow. By now Alchemy and Speech skills were good, so I was more of a traveling merchant, walking between Whiterun, Falkreath and Riverwood selling my wares. Of course, as I leveled up so did the world, and while I might be a silver tongued alchemist, its not much use against a grizzly bear that was previously a wolf - I now had to be very careful on my travels. This comic really sums it up best. I visited the Jarl of Fakreath and, while becoming Thane was trivial, he needed me to kill a Bandit Leader. Haknir Snow-Strider... a feeble alchemist... must kill a bandit? Nay a bandit chief?! That wasn't happening - so I had to bend my semi-pacifist rules and employ a mercenary. I took fair Jenassa to some backwater cave and watched while she slaughtered the entire gang. Job done, I returned to Falkreath to buy my plot of land and begin construction. It's ridiculous how much iron you need to build and furnish a homestead, but this is where my steed came in. I lost count of the number of trips I made on horseback to various merchants to buy the iron. With fast travel it would have been trivial, but that's not allowed and sometimes a blacksmith would only have a few ingots! It was tedious, but rewarding at the same time when I finally accumulated enough materials to complete a Greenhouse, Alchemy Lab and Kitchen. I bid Hod and Gerdur farewell and moved in. Victory! I felt I had reached my goal and done what I set out to do - so as tradition dictates, it was now time to crack open the exploits and have some fun. "In the lore" Herma-Mora saw great potential in Haknir. He came to him in a vision, and bestowed unto him great knowledge so that he may become his champion. Using these profane secrets, Haknir began to weave an enchantment that was beyond the skill of the even greatest wizards and tonal architects. Haknir bound the enchantment to an amulet and in doing so, created a powerful tonal artifact. The artifact allowed him to brew potent potions that Asliel Direnni could only dream of. With each refinement, Haknir's understanding of the Aubris became clearer and clearer, which in turn imbued him with great power. Through this rapid progression, it was discovered that Haknir was not only a dormant Shezarrine, but a natural Tongue and a Dragonborn - as Herma-Mora foresaw. With this knowledge and power, Haknir stood up from his alchemy table and stepped outside to meet his true destiny. Translation: I legendary'd the Alchemy skill many, many times to reach level 252 and gained all possible perks. I also enchanted some super powered apparel, created several overpowered Forty Restoration potions that grant zero cooldowns on Shouts when combined with the Amulet of Talos. My goal now was to play the game strictly as a master Tongue, like the war chiefs of old. Using only shouts in combat, I would make Hoag and Wulfharth proud. My first step was to acquire several words of power, so I traveled to all the locations, punching dragons and shouting draugr to pieces. My favorites menu was slowly filling up with shouts. In all honesty, Unrelenting Force never gets old for me - and having the ability to use it non-stop is incredibly fun. One of my favorite combos was to hit an enemy with Cyclone to launch them into the air - then quickly switch to Slow Time to freeze them in mid air. 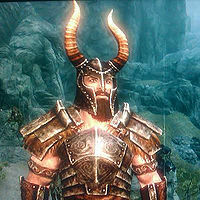 Next, I would stand below them and give one final Fus-Ro-Dah and send them into space. Being a Doom Driven, sentient natural disaster is fun and it reminded me of playing as Wrex (my Orc Berserker playthrough) on steroids. One of my favorite moments was traveling to High Hrothgar and schooling the Greybeards in the Voice. A few shouts later, and all four of them were hurtling down the side of Snow-Throat onto the plains of Whiterun. As so-called masters of the Thu'um, I wasn't impressed. You can keep your Way of the Voice, I'm re-opening the school in Markarth. My permanent Draconic visage was roaring through the province like a tsunami - tearing souls, breathing fire and ice or summoning storms, dragons and ancient heroes. It was as if The Whitestrake himself had returned to Nirn. The last time I left off from this save file, I was standing naked in the middle of a Giant's camp after beating him and his mammoths in a fistfight. I will definitely go back to this save and finish it. My eighth playthrough was after a long hiatus from the game. After Haknir's rampage, I wanted to take a step back and try another sneak based playthrough. My main reason was to play as an Argonian - something I'd not done yet. Deekazah-Ra, the former Shadowscale turned An-Xileel spy. The difference on this sneak-based playthrough was was I would start the game on Legendary difficulty. Legendary is no joke - you do one quarter of the damage and enemies hit three times harder. Early levels were absurd, so after a while so I decided followers were the way to go. I got Farkas during Proving Honor and simply didn't complete the quest so he was always with me. I did the same with Serana in Bloodline. With my Werewolf/Vampire/Argonian team, I survived a lot more. I was happy to hang back and let Farkas tank enemies, while Serana and I acted as ranged backup. Archery and Sneak was the core, but I quickly filled up the rest of the Thief skills. I also wanted to try and not level up Smithing and Enchanting too quickly, and rely more on found loot as opposed to making my own gear. I went in heavy with the Thieves Guild and Dark Brotherhood. 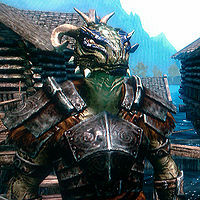 One thing I hate is there are no helms that look good on Argonians. All of them either twist out of shape, chop parts off to make them fit their heads - or the worst - completely ignore your head shape and mash your skull into the shape of the helm (Dragon Masks). Most of the time I looked stupid, as I would wear mismatched light and heavy gear if it had a good enchantment. The other annoying thing was I really wanted to get into using the Bound Bow for a change, but it becomes completely obsolete at even level 20+ - especially if you smith your own items. I settled on using Zephyr or the Crossbow Durak gave me, which I enchanted and renamed after him. 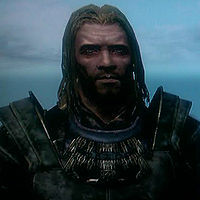 After a while, Farkas had become completely useless. One or two hits and he would go down - I guess it had something to do with him retaining the low level that I recruited him at. I liked having him around, so I kept him and instead recruited Mjoll the Immortal into my crew. Having 3 followers was fun because sometimes I could just hang back and loot chests while they dealt with threats. There was a good balance too, two tanks, one mage and one archer - It was like playing a poor man's Dragon Age. Sneaking was almost useless, with 3 noisy followers behind me, but I didn't mind. Add Shadowmere into the mix and I was forming a small army. Then I got Dead Thrall and Twin Souls for added absurdity. Like all playthroughs, there is that tipping point when stuff isn't scary anymore and you have done what you set out to do. I could have dismissed all my followers to make the game harder, but I was too attached to my awesome team (even Farkas). Old Herma Mora showed up again with his tomes of hidden knowledge, and before I knew it I was level 110 so I could get all the perks I cared about. This playthrough is still unfinished, so I'll probably go back to it at some point. My ninth playthrough was after another long hiatus from the game. After reading some new lore in ESO about Frandar Hunding, the Ansei of Yokuda and their mastery of the Shehai, I got the idea to try playing as a modern day sword singer. In the lore, the Shehai (or "way of the spirit sword") is said to be a sword formed from pure thought. Its an unstoppable weapon of great might, and can never be taken from the owner without also taking his mind. According to some, there is very specific and dangerous technique called Pankratosword. This sword stroke is so powerful it can cut atoms, resulting in a nuclear explosion, and this is what supposedly sank Yokuda. Sounds pretty awesome. Sadly, nothing this awesome exists in the game, so I had to improvise. The Bound Sword spell is probably the closest you can get to forming a sword out on thin air, so this spell would be the basis of this playthrough. Its not Tonal Magic, but close enough. My backstory: I originally served as a bodyguard to Vizir at-Javid, head of a noble house in Taneth. After the city fell during its war against the Aldmeri Dominion, the house was executed and Abdullah fled into the Alik'r Desert. During his exile, Abdullah travelled north and took sanctuary in the ruins of a Halls of Virtues of War, outside Skaven. Inside he discovered various texts and books about an ancient sword technique from Yokuda. After only a few weeks of study and training, he formed his first spirit sword. 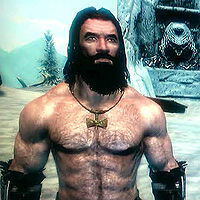 Eventually the Aldmeri Dominion discovered his location and Abdullah was forced to flee once more, this time into Skyrim. 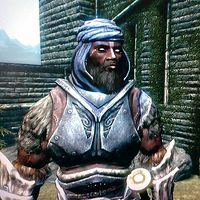 Shortly after crossing the border, Abdullah was captured by Imperial troops and sent to Helgen for execution. After escaping Helgen, the very first thing I had to do was to look the part, so I took a carriage ride to Radiant Raiment in Solitude to buy a full Alik'r clothing set. All that was missing was a Scimitar, but that will come shortly. While I in the city, I bought the Bound Sword tome from Sybille Stentor. I set the difficulty to Adept, because any higher would be ridiculous while wearing only clothes for protection. Originally I was going to go this playthrough as a complete psycho. The Butcher of Skaven would have been my name and I'd kill every NPC I came across, but I just couldn't bring myself to do it. In all my playthroughs I have never even harmed Nazeem or Heimskr. So the journey of Abdullah the sword singer began. Every battle the Bound Sword would come out and its surprising how fast the Conjuration skill levels up as a result. Eventually my skill was so high I decided to add some summons into the mix, starting off with Flame Atronachs and working up to Dremora Lords. In my off hand was always a Restoration spell. Exclusively using healing spells was a style I have never properly tried before, but it works really well for keeping the battle flowing and not pausing to spam healing potions. Swords. If this was the basis of my playthrough I needed to work out if the Bound Sword can be viable late game. Mystic Binding can only go so far, although it certainly helps. Enchanted gear is the key. My adding a few Fortify One-Handed pieces of gear, my Bound Sword was working great at level 50+. I didn't want to max out the Smithing and Enchanting too early, and tried to rely on looted items. Although the Bound Sword was working really well as a replacement for the spirit sword, it hard not to try other swords. In my travels I came across the Drainheart Sword and Ghostblade, which I used sometimes as they are semi-transparent and look more Shehai-like. I absolutely needed some curved swords - it goes without saying. Windshear is the most overpowered item in the game. The enchantment description is not accurate because not only does block bashing paralyze, every single hit on ANY target will stagger it 100% of the time. This means you can stun-lock anything until its dead. I never used it, but to complete my Alik'r look I had to have it. Used Soulrender and Bloodscythe a little too, as they are high level scimitars. Keeping with the lore, by using the Elemental Fury shout, I would sometimes "sing" to my sword. I used a variety of followers this time around. I started off with Kharjo, then my housecarl Rayya (who made me realise that Steel Armor + Alik'r Hood looks badass), Durak, Frea, Serana and many many different Dead Thalls - including Orchendor, Ancano, Wyndelius Gatharian (who keeps his ghostly form), Northwatch Archers, Cryomancer and Pyromancer. I kept a few of their corpses stored in the stable outside my homestead. Its a shame that Dead Thalls are a giant pain in the arse to maintain though. I got a bit obsessive with Necromancy (certainly not how one should roleplay a noble Ansei warrior, so lets just say the lust for powerful knowledge corrupted Abdullah slightly!). I even raised Arch-Curate Vyrthur with the Ritual Stone, then walked him from Darkfall Cave all the way home to Lakeview Manor and laid him to rest in a specially prepared tomb/greenhouse planter. His corpse won't de-spawn if you place a permanent item in his inventory. This page was last modified on 20 November 2018, at 12:29.